Imagine this – Laying back on a cushy recliner, a glass of sparkling wine with the finest bubbles in one hand and favourite classic novel in the other, and quiet all around. Now pick this image and place it on the side of a window, peeping out of which you see those beautiful clouds and a distant image of that noisy town below. Sounds dreamy, eh? So why not book a private jet with JetSetGo, the Uber of the skies and an aggregation platform, and convert this dream into a reality. “JetSetGo provides Indian charter customers with the choice, transparency and flexibility to book a private jet online on both web and mobile platforms. 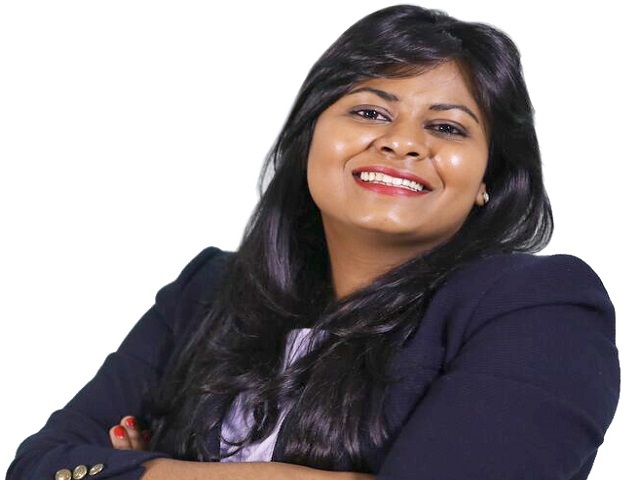 Extending the experience from the ease of the customized online booking process, JetSetGo then provides superior unmatched level of service at every customer touch point through the journey process on ground at both departure and arrival airports and on board based on the purpose of the customer charter be it business or leisure”, says JetSetGo Founder Kanika Tekriwal. The company is ramping up its capabilities in several Indian airports to put in motion a new JetSetGo customer service standard that will forever re-define the customer experience by providing far superior level of service than that currently exists in the country. I have worked in the private aviation industry since the age of 17, both in India and UK. All my education and knowledge about aviation I have amassed in my various roles in the industry. For as long as I can remember before this venture I’ve been eating, sleeping and dreaming aircraft add to which a little bit of studying came in here and there whilst working. Quick wins have been many. Every time a customer says we’ve changed the way private aviation in India works, it’s a new high all together. Beating targets is a passion in the team. We haven’t faced any significant challenges so far over and above our suppliers and customers have been most co-operative apart from the odd one out. We are solving real industry problems and doing the industry good due to which the journey so far has been nothing but encouraging. Every moment in the past 5 years has been very important to me. Those I value most are the hardest ones which taught me how to stay strong, believe in my dreams and keep going. Some treasured memories are of signing my first contract with a customer, receiving a message at 0200 that the patient we flew in on air ambulance is now fighting fit, the owner of one of the country’s largest corporate houses telling me that I am his clone and will revolutionize the industry – it’s been a very very beautiful journey which I wouldn’t change for anything in the world. These services will be almost impossible to run without partnerships and we are in fact looking at various partnerships across the value chain starting with leading hospitals, paramedics, ground service providers within and outside airports to ensure smooth transfer for patients and several of the existing private jet and helicopter operators to better utilize their fleet to provide these services and to increase coverage. We stringently select partners to work with who can provide professional services maintaining the highest level of medical care. JetSetGo will be the one stop shop to private jets globally. We hope to expand into one region at a time. We will soon be the only travel platform for high end domestic travel and experiences. Our focus is to cater to the $18 billion rapidly growing in-bound travel market and to the travel needs of the Indian UHNIs who are expected to triple in number in the next 5 years who have very different travel needs which the current ensemble of online travel companies and start-ups can really not cater to effectively.